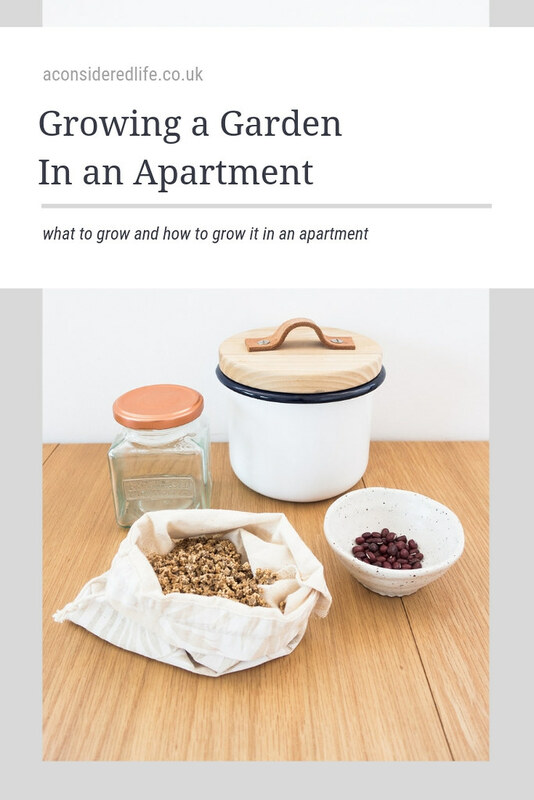 Gardening as an apartment dweller often seems an improbably possibility yet it's a lot easier than you might think. So long as you have a windowsill that gets a few hours of sunshine a day with enough space to balance a few pots, you're good to go. With a little care and attention, lots of veggies are happy to grow indoors. Successful windowsill gardens need three things: a sunny windowsill, healthy potting mix, and frequent waterings. Choose a windowsill that gets at least five hours or more of sunshine a day in summer and pot your herbs and veggies up in planters with drainage holes. Keep the soil evenly moist; not drenched but never dry. Regularly check the plants for insects, remove dead leaves, and if the plant starts to flower, pinch it off to promote growth of side shoots, which is what you want for healthy, bushy plants. You don’t need specialised equipment to garden especially not in an apartment. Containers, trays, compost, a sharp knife, a watering can, a pencil, and a trowel (a spoon does the same job!) are the absolute basics. You might find it useful to have a sieve, labels for keeping track of what you’ve planted, in what container and when, a mister, and clear bags (reuse plastic ones instead of clingfilm) to cover pots for faster growth. Make use of what you already have by recycling tins, jars, pots, and wooden boxes and make drainage holes with a hammer and a nail. Just make sure repurposed containers are completely clean of food to prevent spreading diseases to the seeds or pips you’ve planted. You can either buy a herb plant from a local market, garden centre, or even a supermarket; you can grow your plants from seeds, or take cuttings from someone else’s plants. Use pruners or a sharp blade to cut a 3- to 4-inch stem; strip off the bottom leaves and put the cutting in water. Change the water every few days and, when roots are about 1 inch long, pot it up. If you buy a plant, pop it on your windowsill and when roots start to creep out of the drainage holes, give it a bigger pot. Pruning the herbs will encourage them to grow bushy, instead of leggy, which is what you want. For veggies, starting with seeds is the most inexpensive option although with some you can use the stems or base you’d usually discard to grow a whole new plant from it. Celery, spring onions, and garlic greens can all be grown this way and the seeds from vegetables like bell peppers can be saved and potted up. There are lots of plants you can grow from the pips and seeds that you would usually discard; they may never produce fruit but they can still be enjoyable to grow. Sprouts and microgreens are super easy to grow and ready to eat in a couple of weeks. 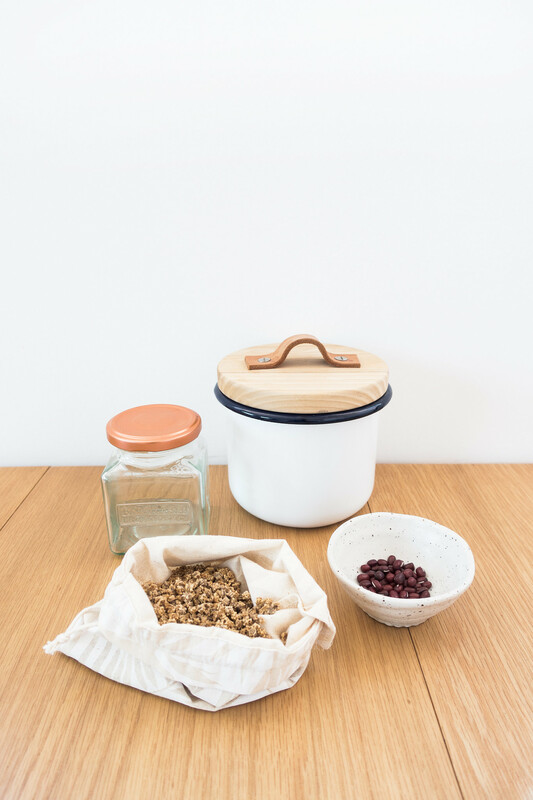 Buy a pack of sprouting seeds and either use a germinator or grow them in a jar; they’ll be ready to eat in 3-5 days, and can be kept for up to 3 days in a refrigerator. Microgreens require a bit more patience since they need planting and take a couple of weeks before they’re ready to harvest. Both sprouts and microgreens are great eaten as snacks, for topping salads, adding to a stir frys, in tortillas, on on pizza, and in sandwiches. We eat a lot of basil in this apartment so I purchased two plants and repotted them both into a self-watering planter. 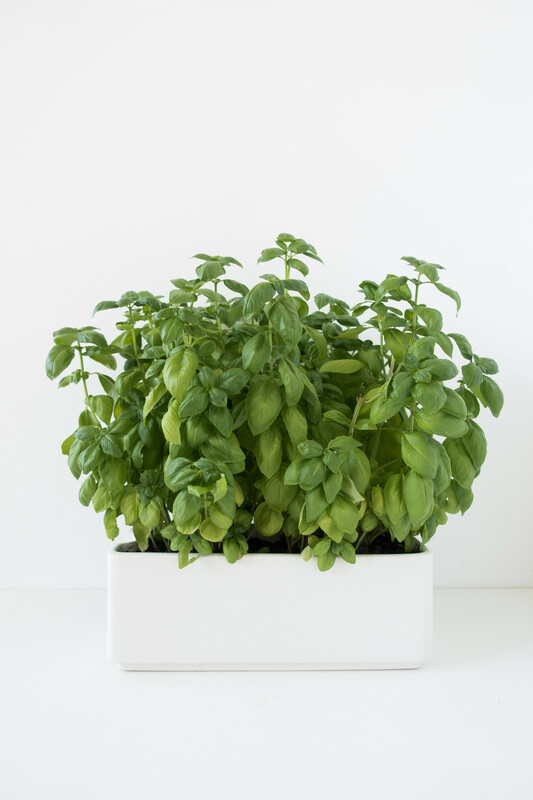 It fits perfectly on our kitchen windowsill and, since basil is such a thirsty plant, means we don’t have to fuss over it every day. Mint is another herb we grow on our kitchen windowsill along with sprouts or ‘microgreens’. I use a 3-tier germinator but the jar method is just as good. I’m keen to expand our apartment’s windowsill garden with more edible plants and my success with growing avocado plants from seeds has got me eagerly attempting to grow other fruits and veggies. It takes a bit of trial and error to work out what is possible to grow in your home. I’ve tried a few plants with varying degrees of success. Some love the greenhouse-like environment of our apartment, others wither and die in it. A great little book I recommend to anyone interested in windowsill gardening is RHS Plants From Pips. It's packed with lots of useful advice on how to source and prep seeds to looking after them once they’ve grown. 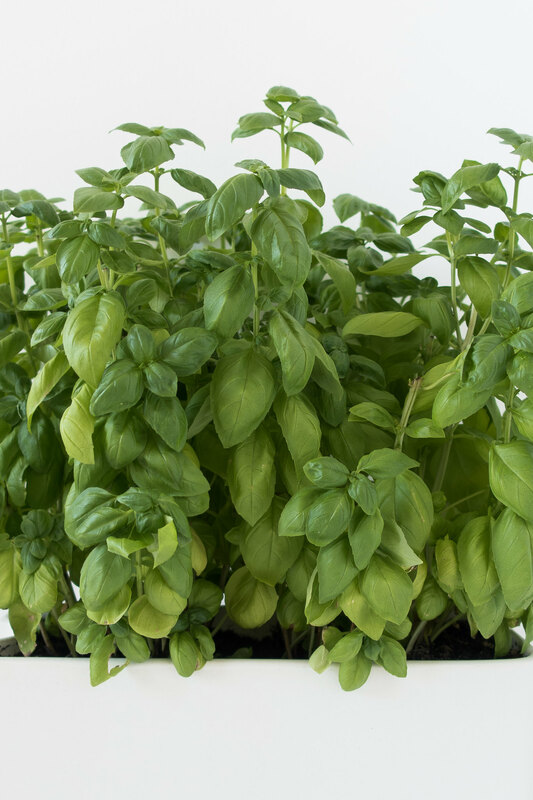 This is in no way an exhaustive list just a few of the most popular and easy enough to grow herbs, veggies, sprouts, and microgreens you can grow on your windowsill. This is a great list of sprouting seeds for sprouts and microgreens. These are very unlikely to bear any fruit unless you have somewhere to plant them outside in the right climate; but they’re fun to grow and make nice indoor plants. Who else is interested in windowsill gardening? Let me know in the comments what you've been planting lately.